Larona Moagi who is famously known as Tumi Mokoena on Mzansi Magic’s hit show The River just bagged herself a Law Degree. Larona is an actress by profession but for the past few years he has been grinding at the University of Witwatersrand (Wits) as a full time BA student. 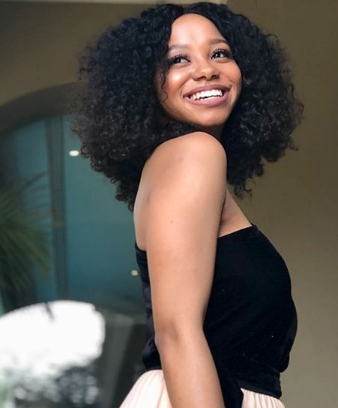 The actress shared on social media that she is now a BA Law degree holder! ” What a great achievement this is for me. Through the good & the bad I got through it. I couldn’t have done it without my friends & family & everyone else who walked this journey with me . Remember that through hard work , dedication and by the grace of God , anything is possible. ? ?” she wrote. Larona is new in the acting industry but in just over a year has become a fan favourite.